This post is aimed at anyone wanting to learn how to find local twitter users, using Social Bro, a brilliant and free app for managing twitter. If you don’t have a Twitter account I recommend you head over to Twitter and sign up for one now, you’ll defiantly need one to follow this tutorial. Twitter is a brilliant place to find prospects, build friendships and engage with existing customers in your local area, but before you can start building relationships your going to have to find them. Luckily for us it’s not difficult to find twitter users by their location and start engaging with them. 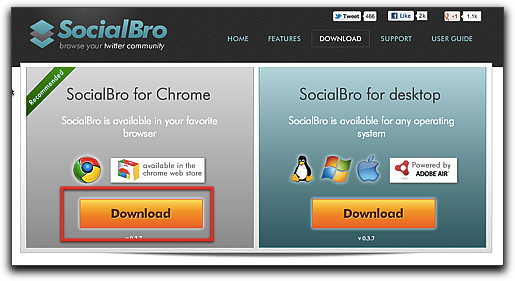 Head over to Social Bro and download the version you prefer, I prefer the web based chrome version, but they all do the same thing, so take your pick and install it. Once installed, open the app and enter your details on the right side to sign up, once done login. 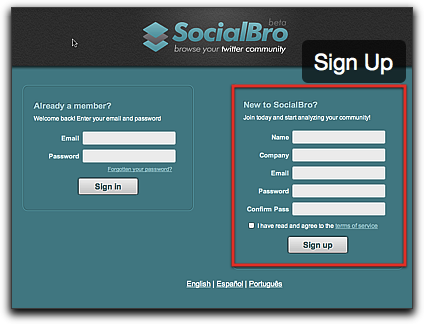 Once signed up and logged in you should be presented with a screen that allows you to add a twitter account, if so go ahead and authorise Twitter to work with Social Bro. If you don’t see this screen follow the instructions in the image below to add a new account. Now it’s time to get into the meaty stuff, lets go and find some local twitter followers. 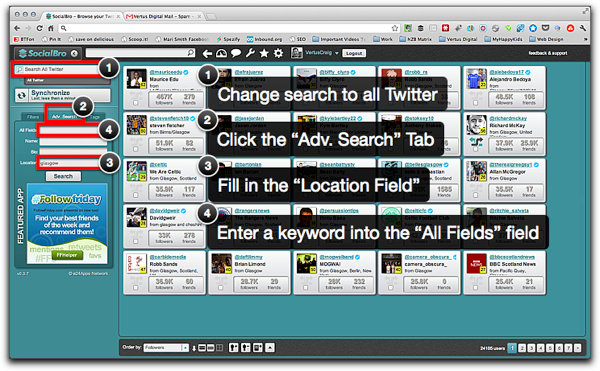 Change your search to “All Twitter” using the box in the upper left corner. Click the “Adv. Search” Tab. Enter the area where you want to find Twitter users in the “Location Field”, I find it best to use your nearest main city or larger towns in your local. In the example above I use Glasgow as my location. The “All Fields” box is a great way to target specific users. The search will only return users with the keyword you’ve entered if it’s somewhere in their profile. For example if you were a vet you may want to target “dog lovers” or “cat lovers”, or a car mechanic might want to target someone with “BMW” or “Audi” in their profile. Brilliant, you should now have a list of highly targeted twitter users in your local area, but lets not stop there lets create a new Twitter list to add them all to. Twitter lists are one of the best features of Twitter. Considering how easy they are to set up and how useful they are for engaging with your Twitter followers and friends it’s a shame they’re so underused. I prefer adding users to a list initially rather that following them from the outset. This way I can listen and monitor what is being said, engage in interesting conversation and help people out, following people as I become engaged with them (it’s also bad practice to follow masses of users at the one time, twitter can sometimes flag this as spam and ban you account, so beware). Let’s set up your first Twitter list using the local users you’ve just found in the previous steps. On Social Bro click the black arrow (highlighted red below) at the bottom of the screen and then “add all to list” (see image below), this will add all users visible on the screen to the Twitter list you are about to create in the next step. Alternatively click the list icon (highlighted blue below) at the bottom of the screen to add only the selected users to your twitter list. You’ll now be presented with a box allowing you to create your Twitter list or add the selected users to an existing twitter list. 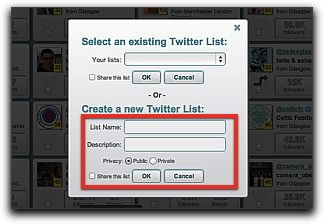 If you need to create a new Twitter list enter the details, and select whether you want the list to be private or public (a public list can be seen and followed by other twitter users). Congratulations you’ve now set up your Twitter List. 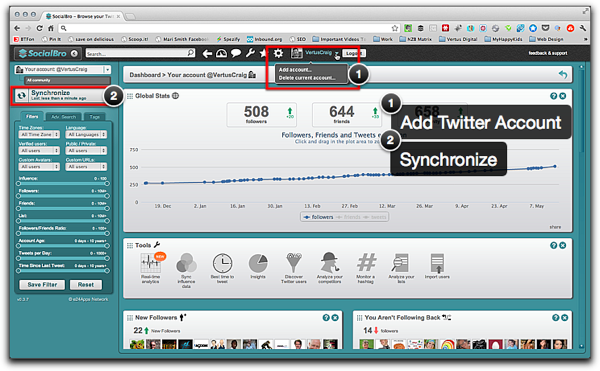 There are a number of platforms available that allow us to interact with other Twitter users. My preferred choice is Hootsuite. I’m not going to get into the specifics of setting up Hootsuite in this post, but there is a great article by Jack Martin about setting up Twitter lists that can be found here – Setting Up Twitter Lists In Hootsuite. This is a great way to start finding and engaging with your local twitter community, just remember the golden rules of engagement be yourself, provide useful content and never ever spam anyone, it’s ok to promote your business or product, just don’t over do it. Thanks for reading, I’d love to know how you engage with your twitter followers and your favorite tools for doing it, let me know what you think below.